People don’t talk much about Riceboro, GA as a place to live, yet there are numerous advantages to choosing somewhere this small as your home base. Larger cities such as Hinesville and metropolitan Savannah are close by. Tourist spots are around every bend: Civil War memorials and reenactments, museums, and wildlife education centers. Riceboro is shielded from urban bustle yet close to popular canoeing and kayaking destinations, walking and jogging trails, coastal fishing charters, and various annual festivals and fairs. This town was first called Gravesend before becoming North Newport and, finally, Riceboro in 1927. The name is fitting; several rice plantations existed near this location, including one which remains today. The gardens of this historic plantation, currently under renovation, are open to the public. Riceboro was also the second county seat of Liberty County. Today that designation belongs to Hinesville, a short drive to the north. Rich elements of African culture, found in the roots of Riceboro, can be seen at the Cultural Arts Center and Museum. Arts, crafts, and history come together under one roof. Geehee Gullah Shouters dance troupe also performs in Riceboro. If you are the sporty type, there are plenty of places to go golfing and various teams to join. Take part in an agricultural tour. Perhaps a ghost tour or an unstructured examination of Liberty County architecture from the past 200 years is more your thing. Although the average age in Riceboro is a little above Georgia’s average, suggesting this is an excellent retirement prospect, there is also land for sale starting at about $15,000 ranging from one acre and up. Families considering a move to Liberty County might wish to build from scratch. As you make plans for children, take heart in knowing that Liberty County’s School District is a recent award winner. Quality of education here is a priority at every age. Homes go quick once they come on the market in Riceboro, a testament to its great location and quality of living. 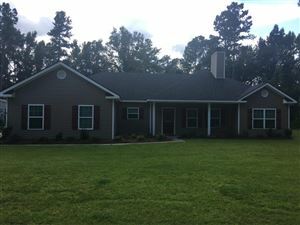 Real estate for sale in Riceboro, GA tends to sit on large lots where there is room to enjoy family time outside. 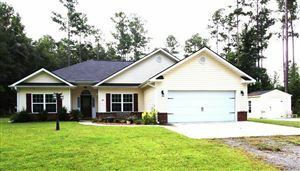 Contact our friendly experts today at RE/MAX All American in Hinesville to learn more about our homes for sale in Riceboro.